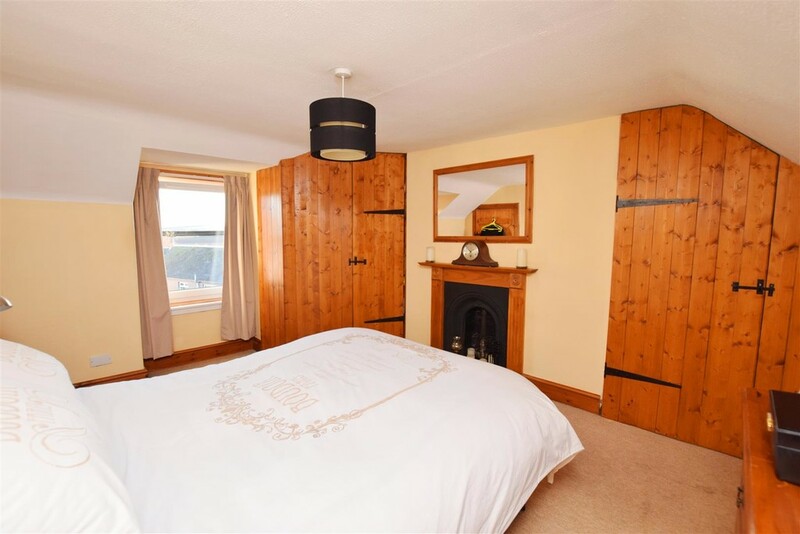 We are delighted to bring to the market this well presented TWO BEDROOM MID TERRACED VILLA situated within a prime elevated position in the popular village of Bankfoot. 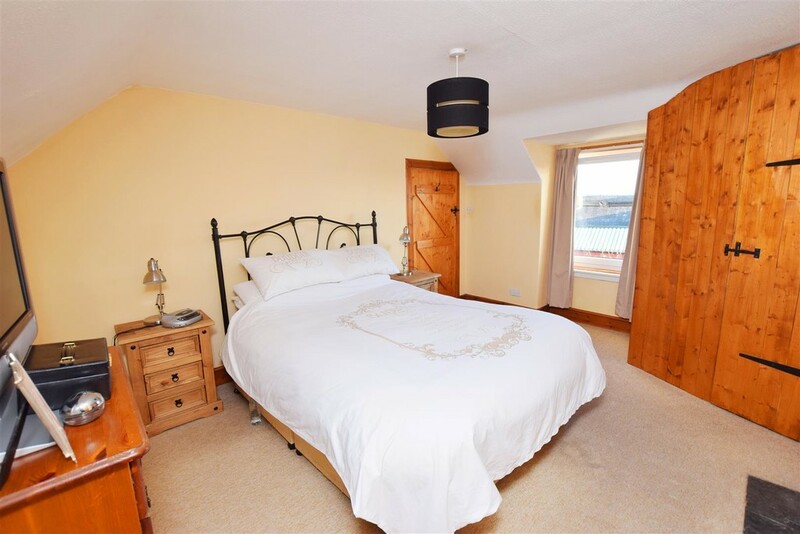 AREA Bankfoot is a well served village located approximately 8 miles from Perth City Centre. The village has a variety of amenities, shops, eating establishments, post office, primary school, park and playing fields. There is a reputable village Inn and visitor attractions nearby. The village offers easy access to the A9 leading to all major cities within the central belt of Scotland. Entrance Hall 3.20m x 2.31m (10'6" x 7'7") Entered via part glazed door the hall provides access to all accommodation. Tiled floor covering. Radiator. Smoke Alarm. Lounge 4.17m x 2.74m (13'8" x 9'0") A bright public room with window to the front. Carpet. Radiator. Cornicing to the ceiling. Kitchen 3.20m x 2.62m (10'6" x 8'7") Fitted with a range of wall and base units in white with contrasting work surfaces and tiled splash back. Space for all appliances. A deep sill window to the rear provides additional light. Radiator. Complementary tiling to the floor. A handy large under stair cupboard provides excellent additional storage. 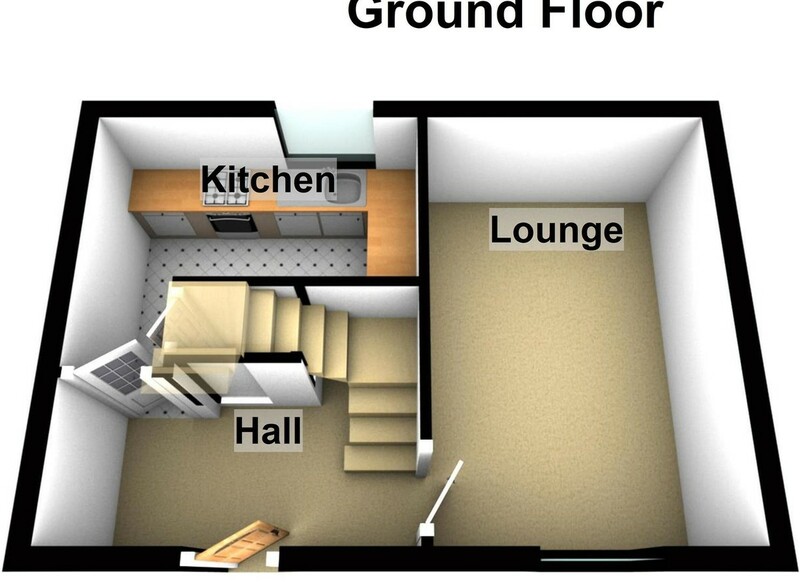 Landing 3.23m x 2.39m (10'7" x 7'10") A stairway provides access to the upper hall and landing. There is a large window to the front providing excellent views over the surrounding countryside. Radiator. Bedroom 1 4.29m x 3.33m (14'1" x 10'11") A spacious double bedroom with window to the front, again offering excellent views. There are two fitted wardrobes with shelving and hanging rails. An attractive feature of the room is the cast iron fire surround. Radiator. Carpet. 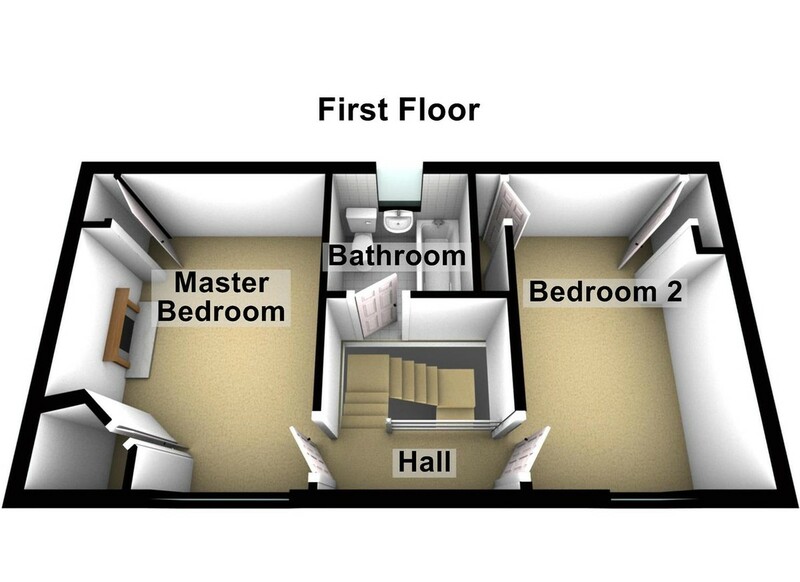 Bedroom 2 4.57m x 2.72m (15'82 x 8'11") Another spacious double bedroom with a window to the front. Radiator. Carpet. There is a deep storage cupboard, press cupboard and a recessed alcove with display shelving. Bathroom 2.26m x 1.75m (7'5" x 5'9") Fitted with a white suite comprising W.C., pedestal wash hand basin and bath with shower over and glazed screen. There is tiling to the walls and complementary tiling to the floor. Chrome ladder towel rail. Deep sill window to the rear providing light and ventilation. External To the front of the property there is an area of garden ground with adjacent parking space. FINANCIAL SERVICES Next Home Mortgages offers a range of mortgage, financial and insurance services.